A South Carolina man told cops that a stripper known as Chocolate Chambers robbed him early yesterday after he refused to buy her an expensive drink inside Club Boom Boom. 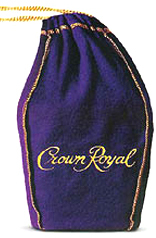 Sinclair said that his cash was inside a “crown bag,” an apparent reference to the velvet bag in which Crown Royal whiskey is packaged. Police noted that Sinclair smelled of booze and “spoke with a slurred speech” when reporting the attack by Chambers, whom he described as a black female. Sinclair acknowledged that he was still “timpsy” from the prior night’s revelry. Investigators noted that Sinclair had a large cut over his right eye, and there appeared to be blood on his shirt. The whereabouts of Chocolate Chambers is unknown.